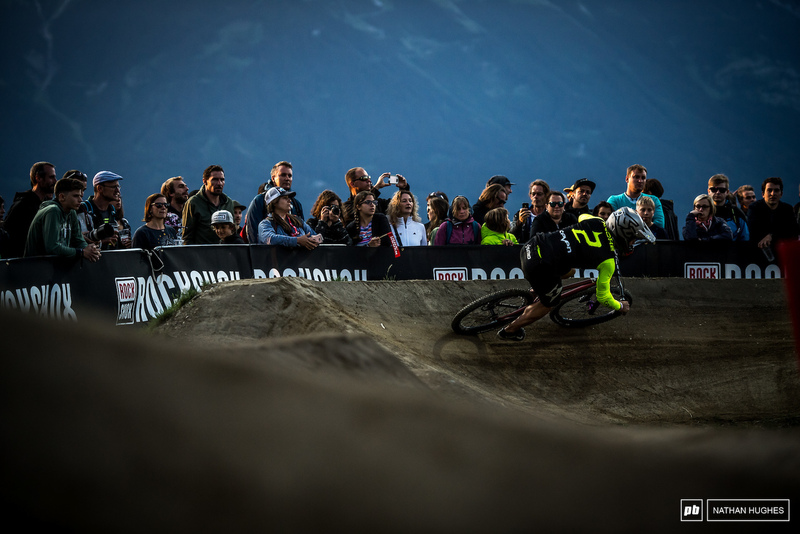 The high-power halogens of Crankworx Innsbruck once again drew the world's fastest pumpers like moths to a flame, and an impressive audience to boot. 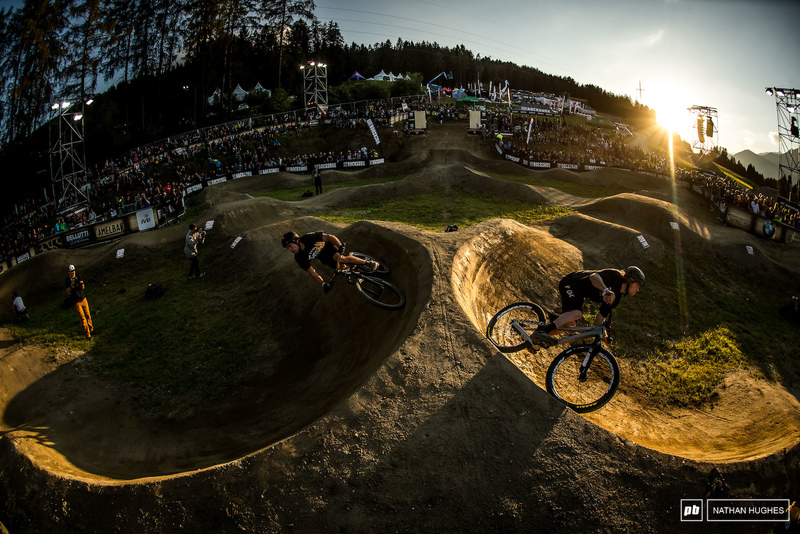 The Austrian course is a thing of beauty, and the masterful shaping held up surprisingly well despite having been exposed to some incredibly heavy rain over the last couple of days. 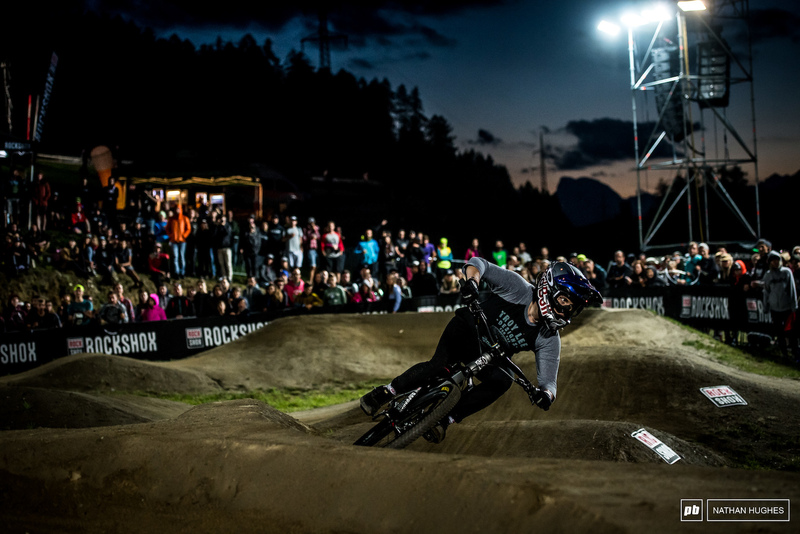 The seeding heats went down earlier in the day, leaving us with just 16 top men and 8 top women to do battle as the floodlights took over from a golden sunset. 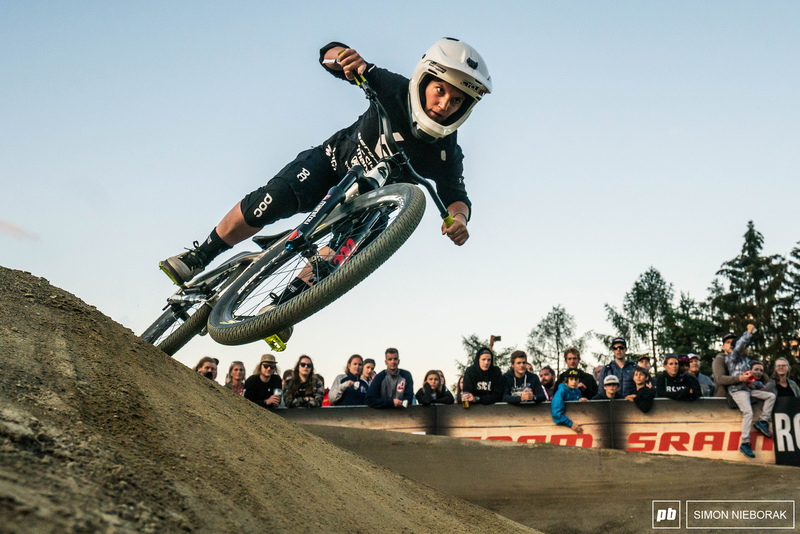 Plenty of big names such as Brook Macdonald and Sik Mik took their shot, but in the end we saw the more specialist pumptrack phenoms take charge, with Chaney Guennet and Adrien Loron clashing in an all French men's final. In the absence of Caroline Buchanan in the women's race we witnessed an all-American duel as Kialani Hines squared up to Jill Kintner. 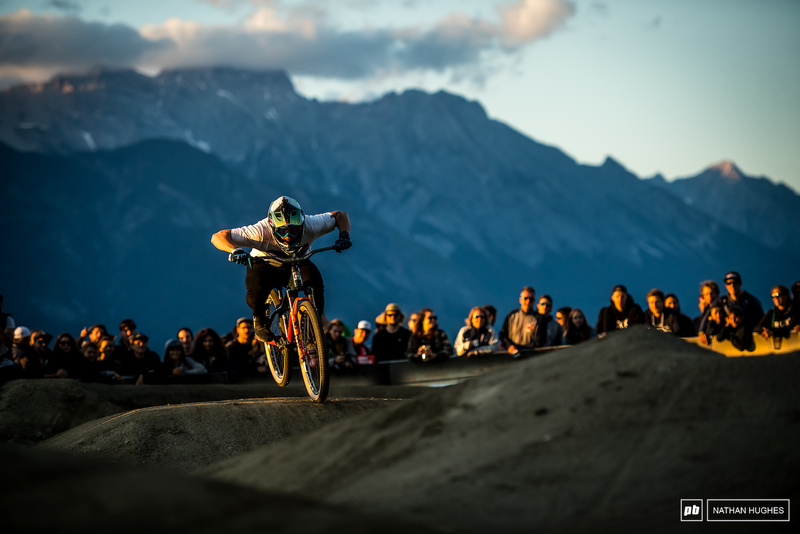 Austria's young talent Vali Holl wowed home crowds riding to the last medal position, and Crankworx crowd favourite Bubba Warren claimed the remaining metalwork. 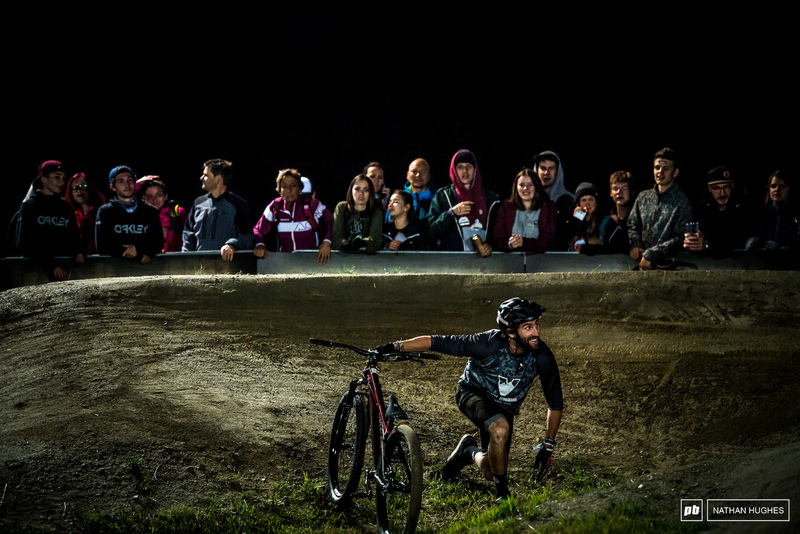 Polish dirt jumper, Marcin Rot, against Rotorua champ of years past, Keegan Wright. 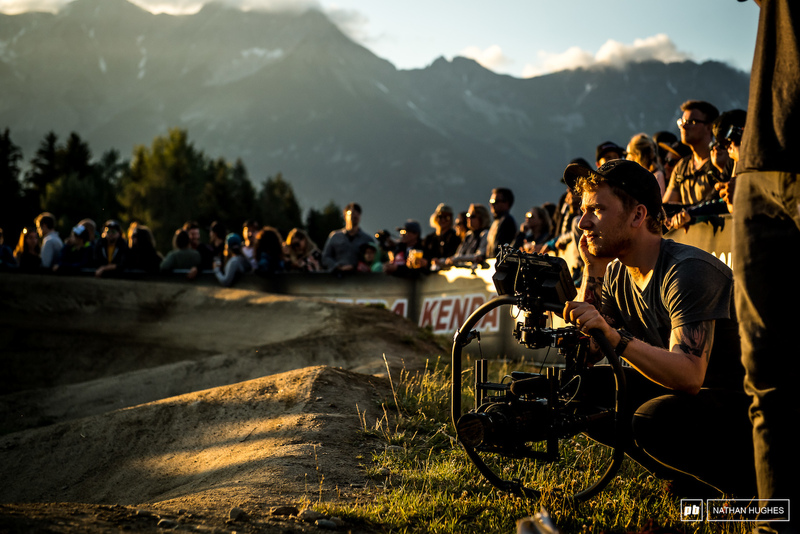 "Riders ready, watch the gate..."
Pinkbike productions in the making... Ryszard Syryczynski and his ultra-tech Hollywood set-up. 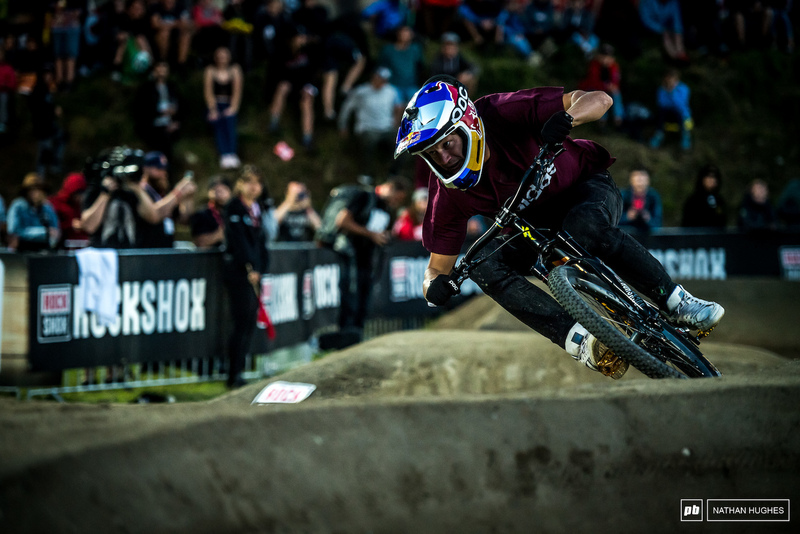 BMX boss Sylvain Andre was a force to be reckoned with tonight. 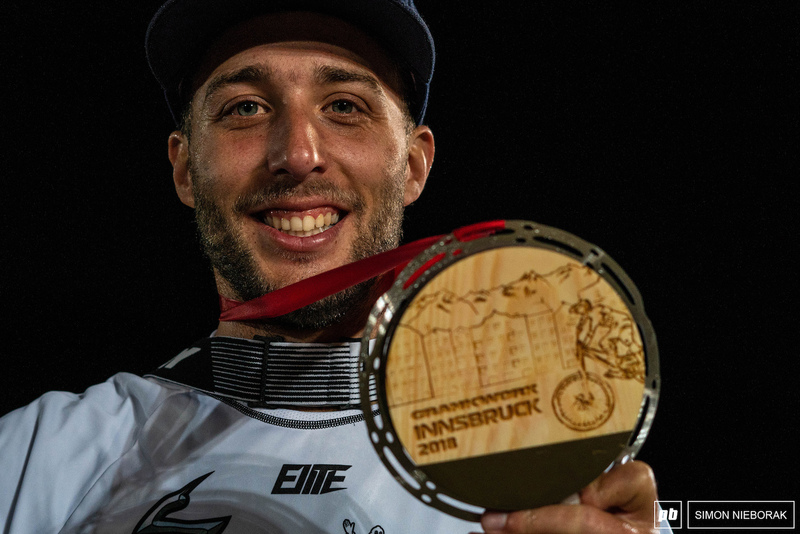 Sometimes you win, sometimes you lose... Tomas Lemoine knows how winning pumptrack tastes, but today wasn't his day to take the cake. 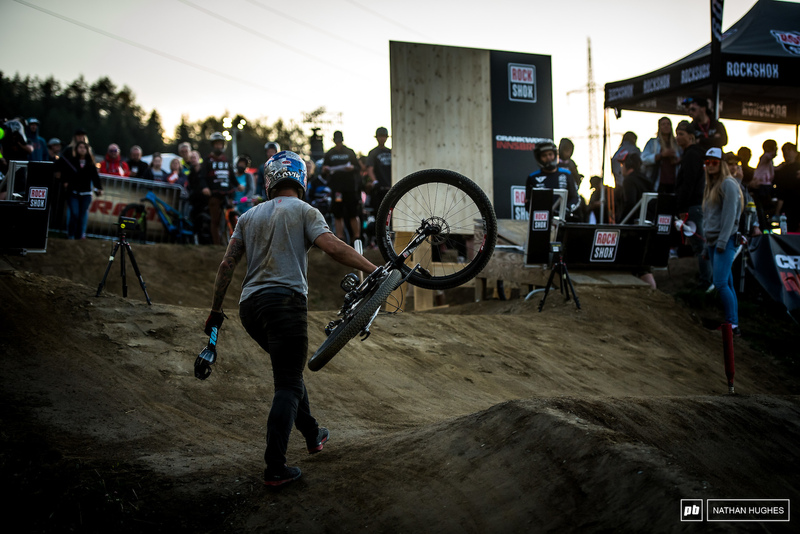 Problems with the right-hand gate persisted and saw Slavik go over the bars before getting a re-run. 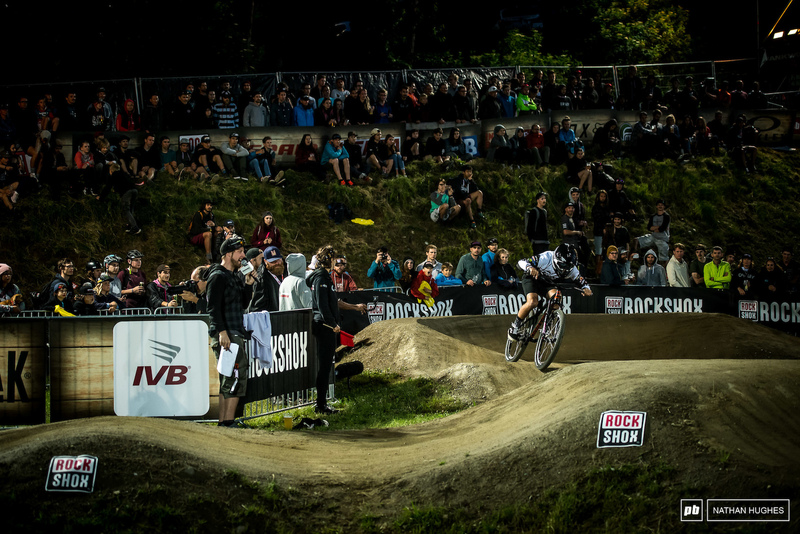 Norway's Brage Vestavik is a pumptrack specialist, but was unlucky enough to draw Loron for his first match up. JK rolling... 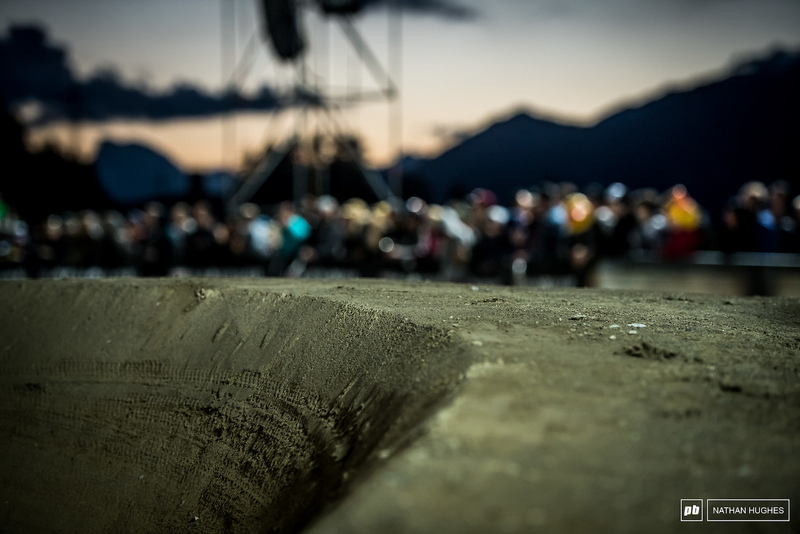 It wouldn't be a Crankworx pumptrack event without Jill Kintner ruling the roost. 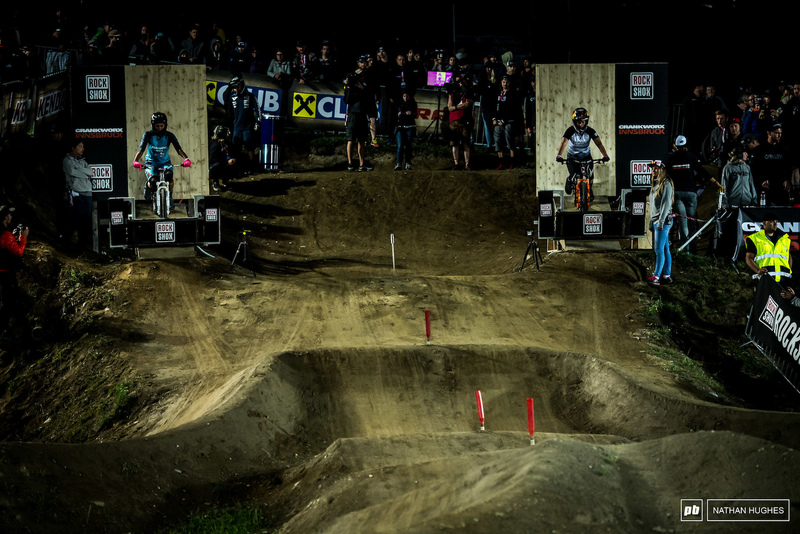 Casey Brown looked quick, but it wasn't enough to stand up to Jill Kintner. 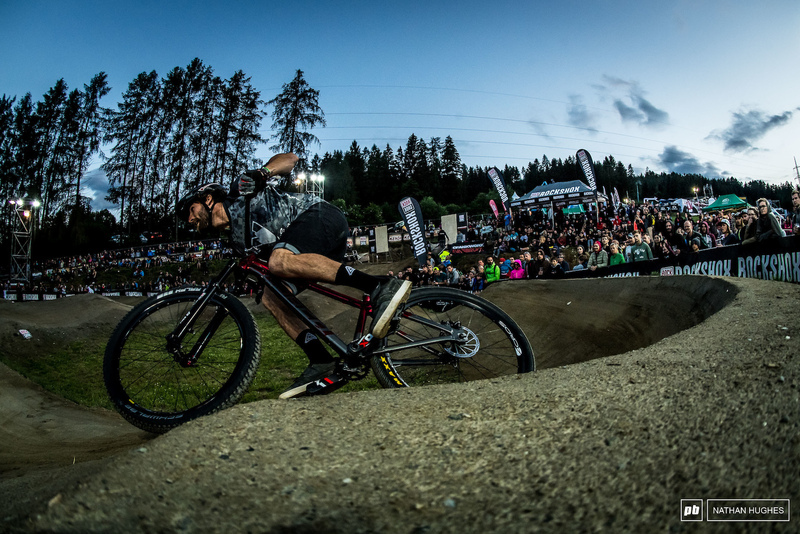 Adrien Loron looks impossibly fast without fail, but tonight wasn't on his side. 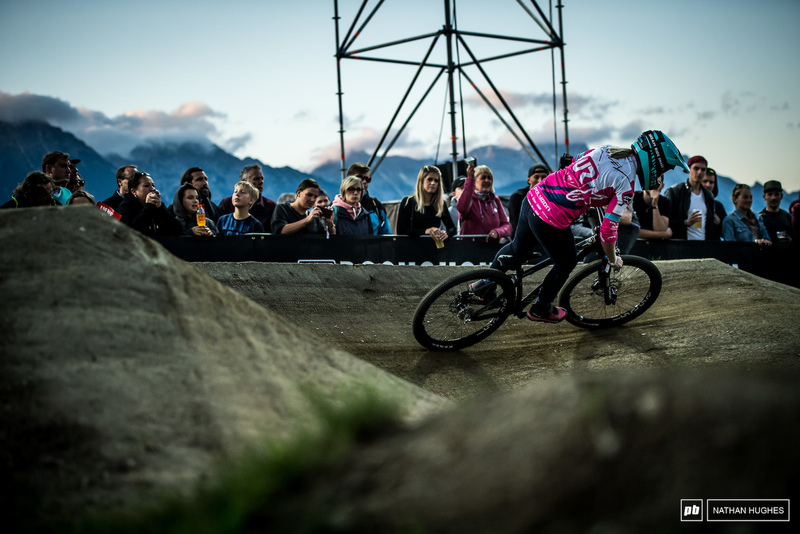 Ex-downhill world champion Morgane Chare made the cut for the final 8 of the women's race. 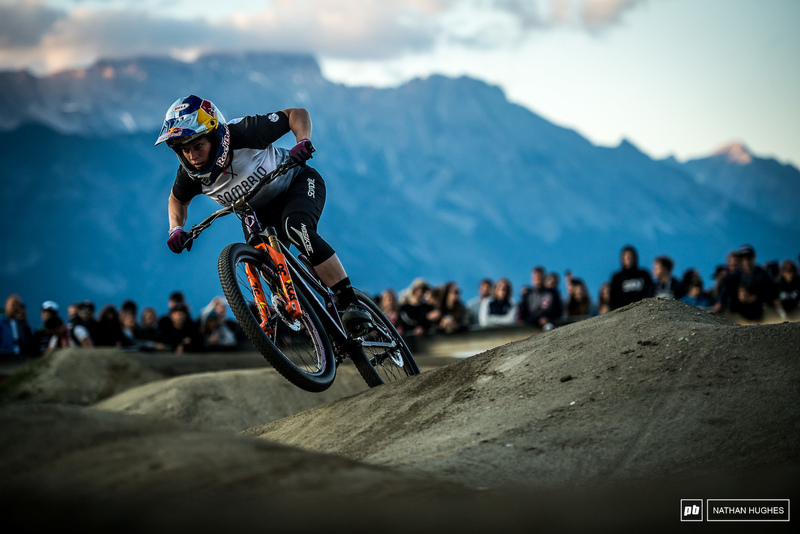 The big Swede Martin Soderstrom was eliminated by the champ Chaney Guennet. 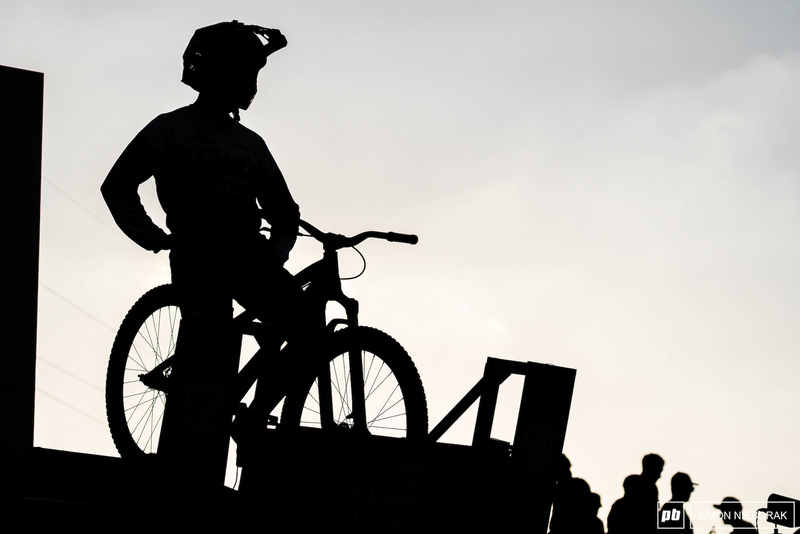 Germany's Benedikt Last after the third gate failure for his competitor, Sylvain Andre. 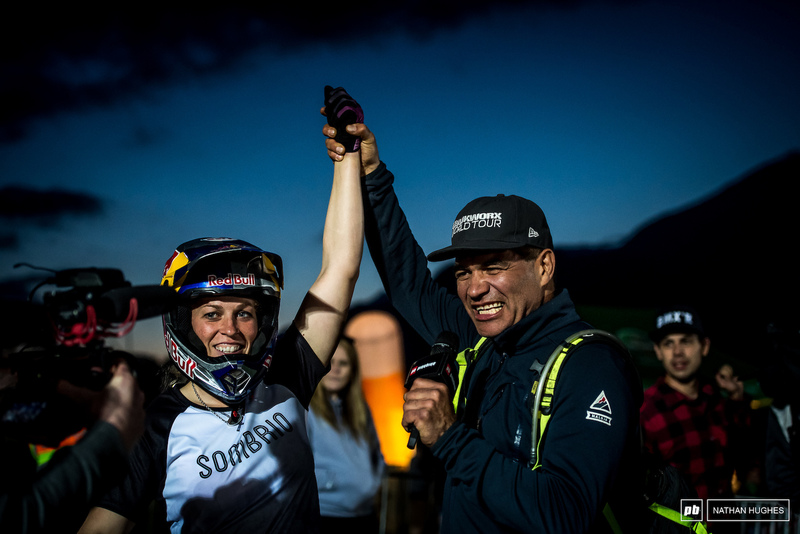 Bronze for Austria's young female prodigy Vali Holl, up against the cream of the crop, but she couldn't match Kintner's explosive power... not this time anyway. Warren taking down Andre for the last medal position. Be yourself. 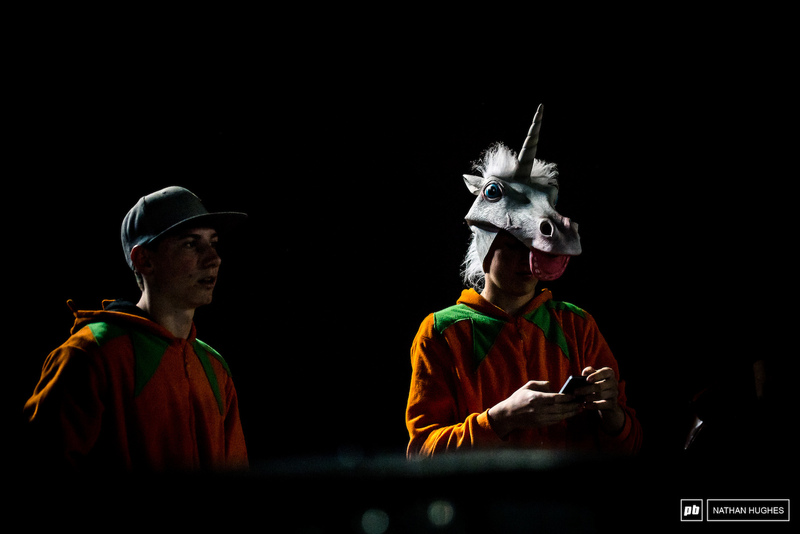 Unless you can be a unicorn... then be a unicorn. 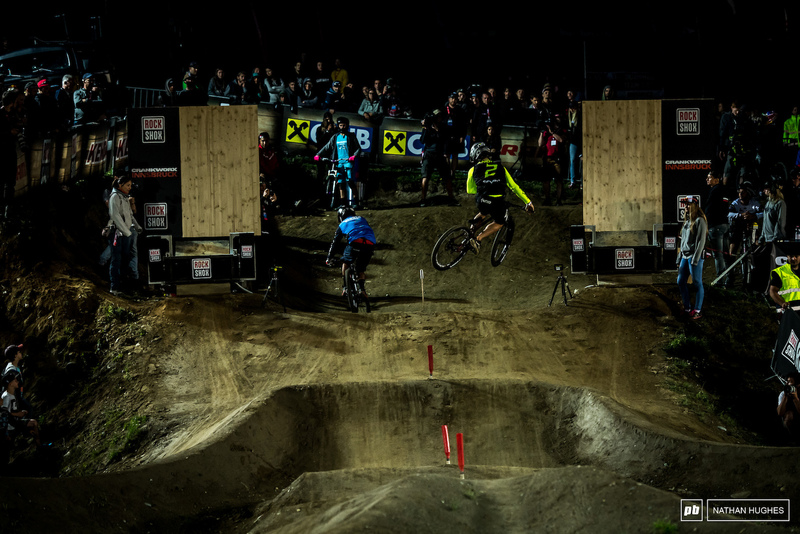 Kintner and Hines face off in the dark for the big final. The highest of expectations on her shoulders and still an immaculate performance from JK. 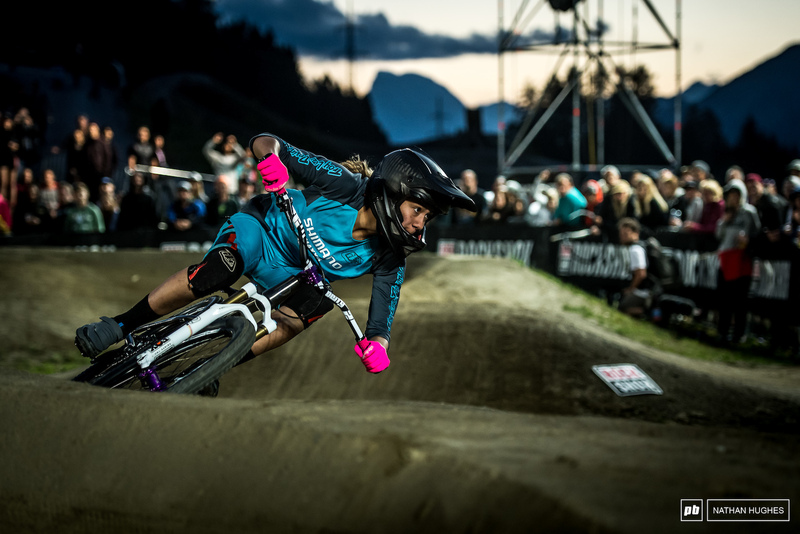 The women were neck and neck, but Kialini Hines got edged out in the second heat. 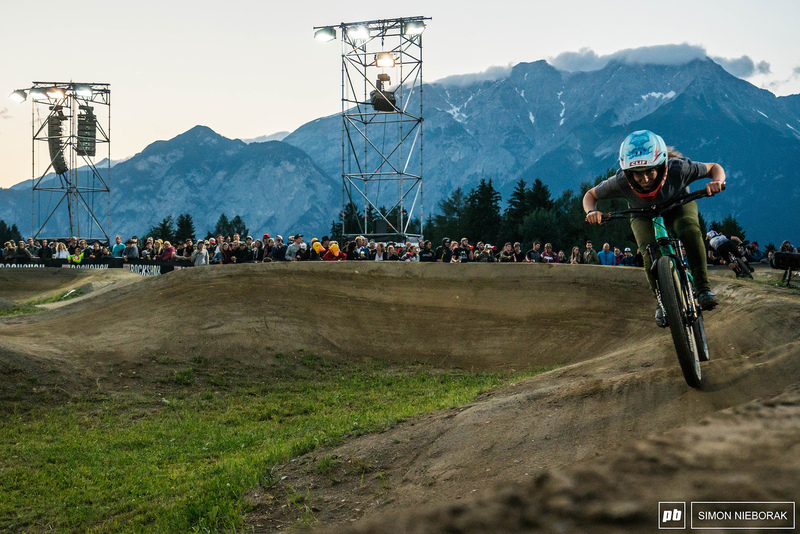 After a podium from the US rider in Rotorua big things were expected and she delivered with silver here in Austria. 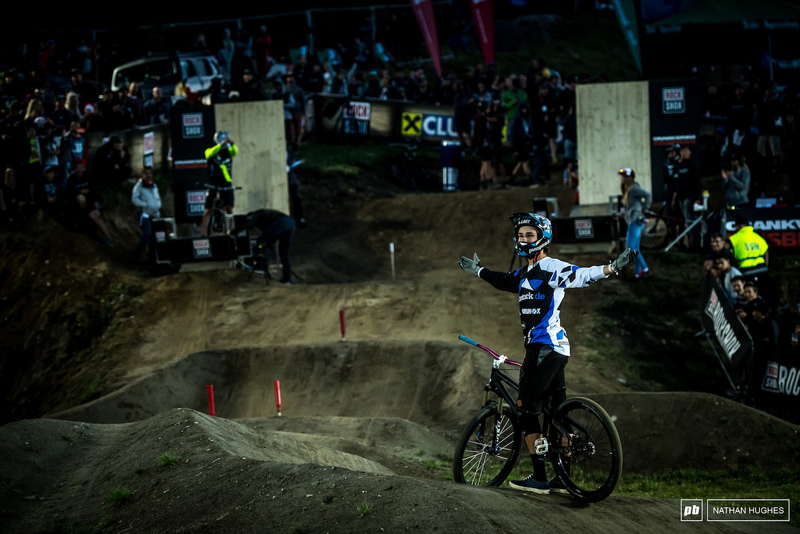 Still Queen... Jill Kintner takes the win just one more time. The final showdown Loron versus Guennet. 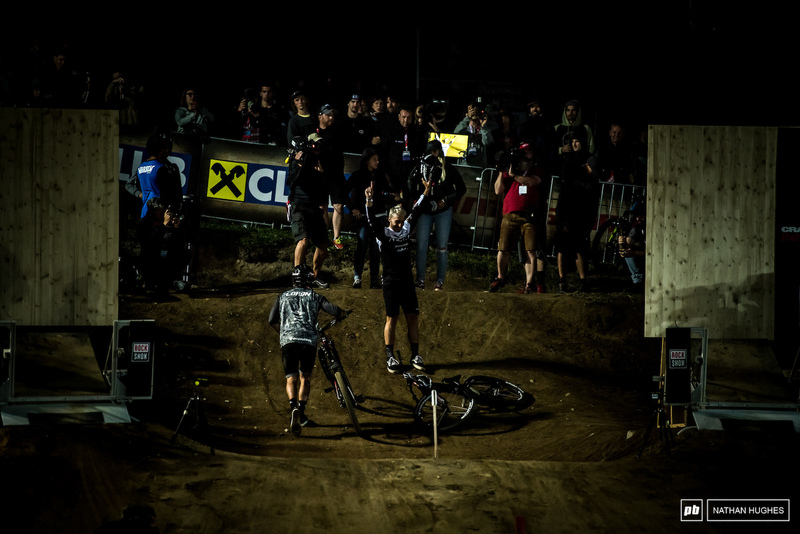 Chaney Guennet ripping out throats on his way to the top step. 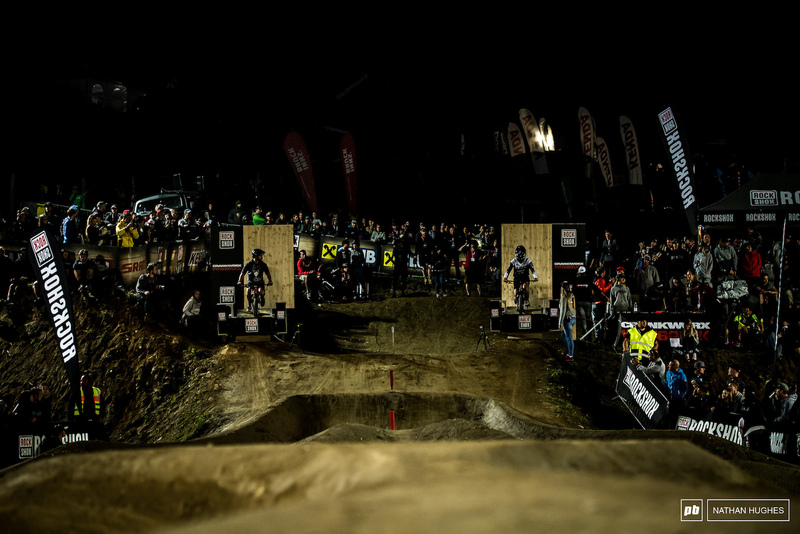 The end of Adrien Loron's campaign under the floodlights. 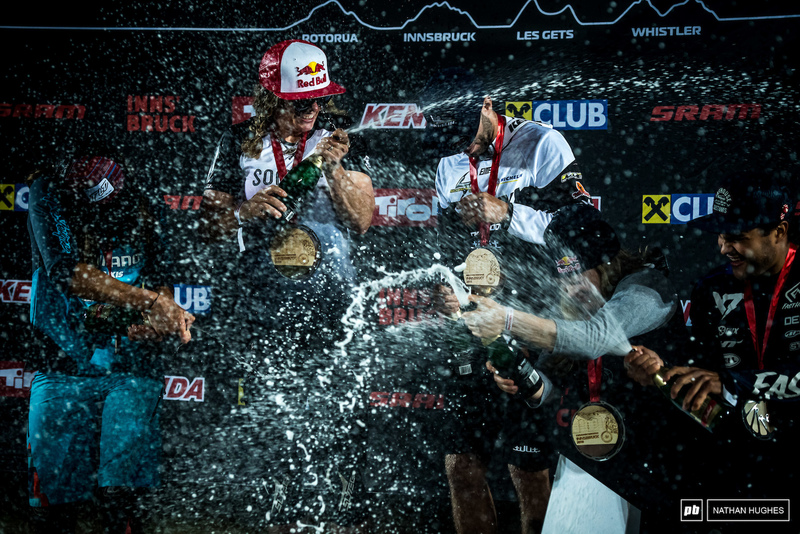 Victory was Guennet's, but Loron says it's on for Les Gets. "It's really cool," said an elated Guennet. 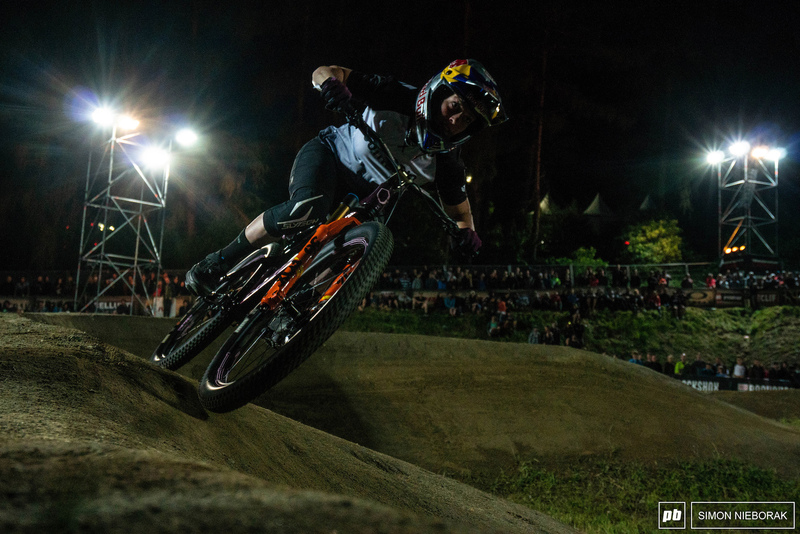 "Adrien is a French rider too, and so many people are behind him, but I worked hard to take the win tonight." 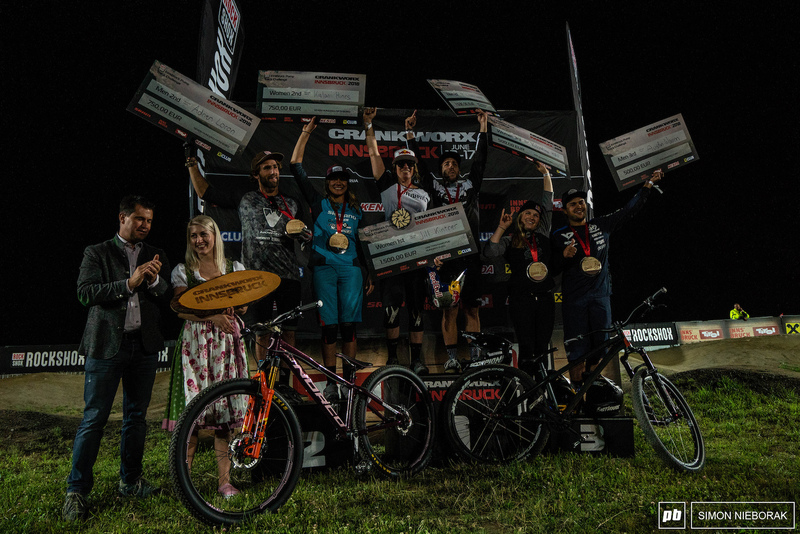 Your 2018 Austrian Pumptrack Champions. 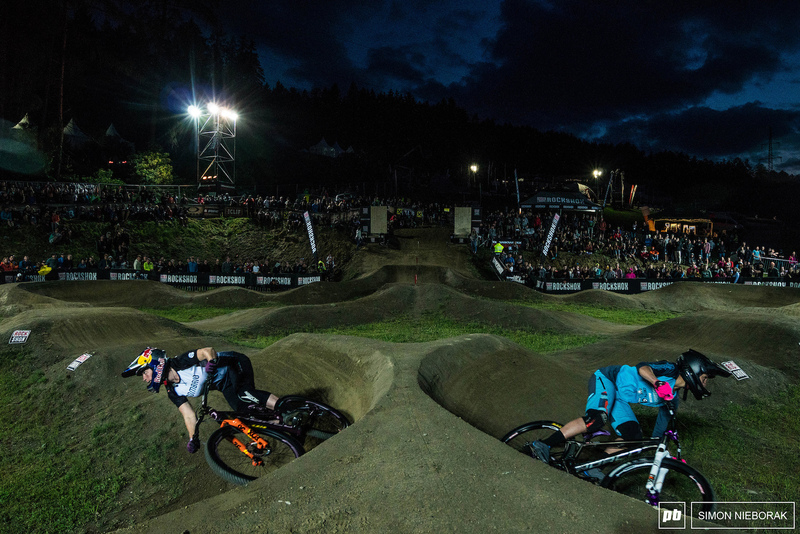 The fastest pumpers of Innsbruck hose each other down. Too bad Caroline Buchanan was still recovering for these events. Hope she will be up for it next year. Pump it up! Until you can feel it! Love Chaney..! 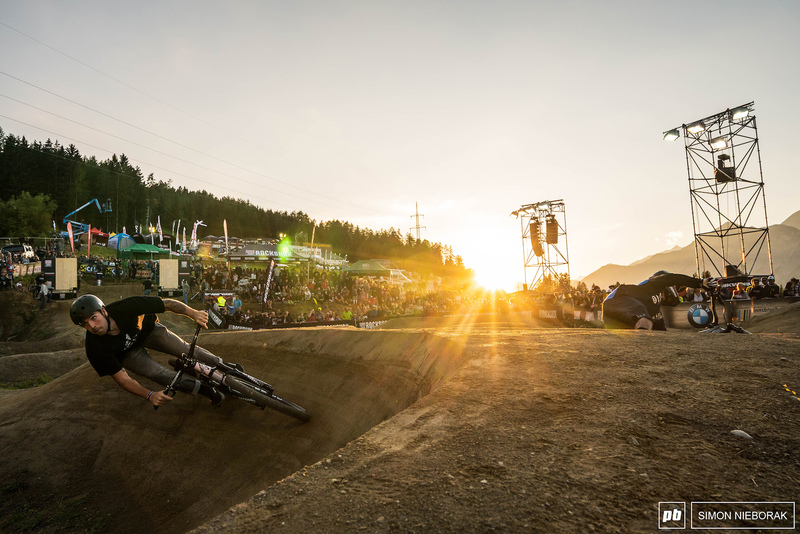 Such a sick rider !